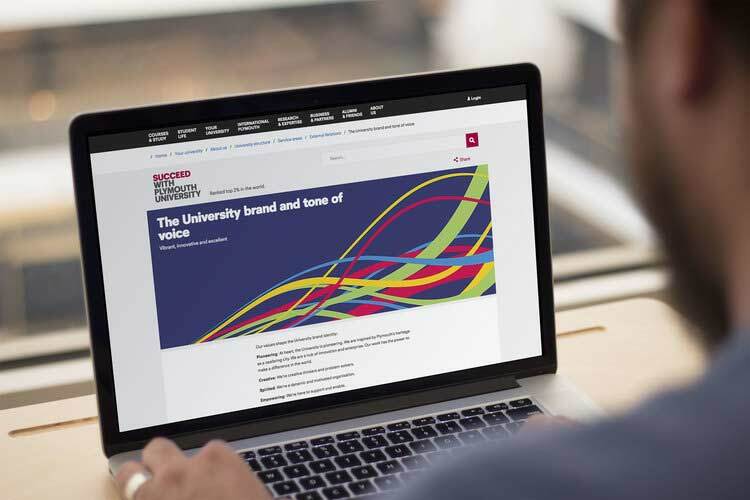 How do you create the optimal content structure for a highly complex university website, and create a new tone of voice framework for a diverse communications team? Content strategy services – from audit to recommended information architecture. A tone of voice guide for all writers and content creators. A streamlined, user-first website that complemented their bold visual branding style. Lark helped to analyse problem areas of the site, and suggest new content structures and copy. We also create a set of brand language / tone of voice guidelines for the university. 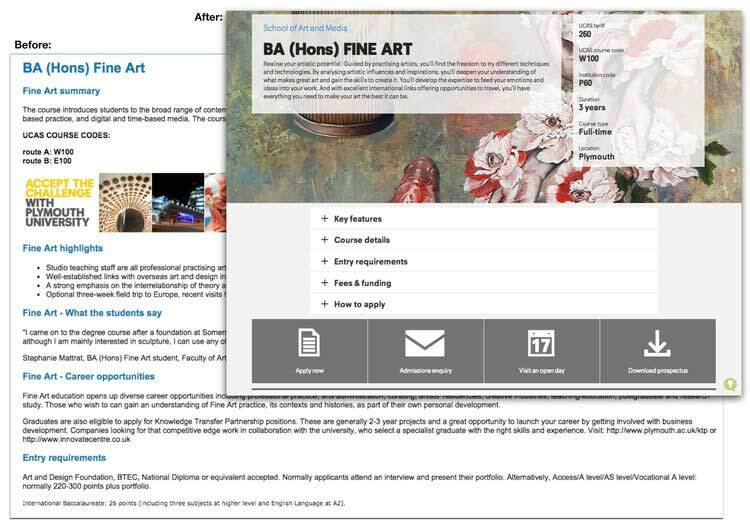 Through content audits, interactive workshops (involving lecturers from various departments) and research, we analysed and rated existing content, and created suggested new content templates for high priority areas of the new website. 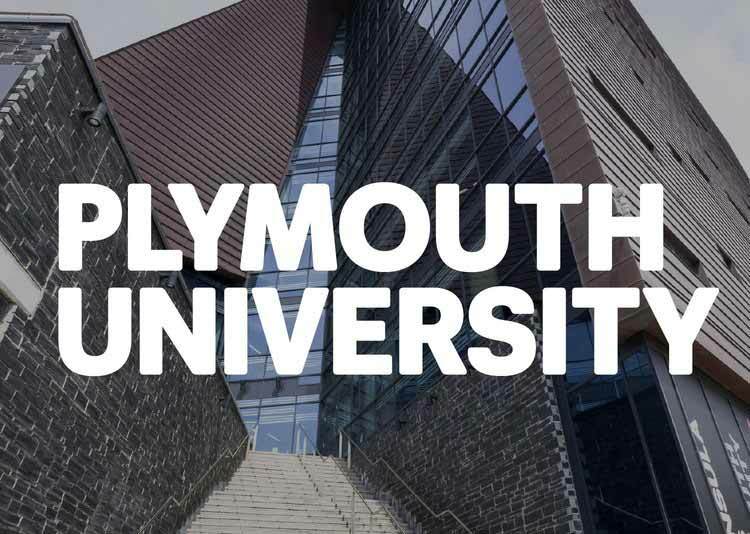 A further workshop helped us to create a practical guide for all content creators – helping them write in the “Plymouth voice”. I think the tone of voice and the new written content on the website is a huge improvement. The thing I like the most is the consistency of the tone and how it speaks to all students in the same way. It is also very simple to understand no matter what course you are on and what year you are in. The tone is also welcoming to new and prospective students who may not be used to academic language yet.